Properties in Treffen average 4.6 out of 5 stars. Beautiful 350 year old house in natural surroundings. Property 45: Beautiful 350 year old house in natural surroundings. 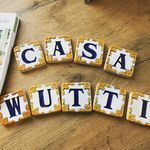 Casa Wutti - My new home away from home! We stayed at Casa Wutti for 3 nights. It was incredible, the perfect house for our family of 5! It was extremely clean and full of everything you could ever need. The host and her family were very friendly and spent much time with us making sure we had information and everything we needed. We were very impressed and can&rsquo;t wait to come back! Friendly owner who was easily accessible. The house is very spacious with two well-equipped kitchens, two spacious living rooms and a large bedrooms. We were 12 adults and 1 children and there were plenty of bathrooms and toilets. There are also two washing machines present, very nice! The house is a 15 minute walk from the center with shop and restaurants. Enough to do for winter sports enthusiasts. We drove to the ski lifts in 10-15 minutes by car. 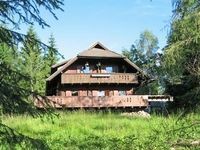 Had a very nice holliday and this house is highly recommended!